Krytka generátoru v černém plastu pro generátory Ø 105 mm 1ks. Aplikace krytky v horní části, spodní část musí zůstat otevřená pro chlazení. To the brushes and the inside to protect this original is a black cap attached. This cap fits only the 6 and 12 volt DC alternator with a diameter of 105 mm. Caution! 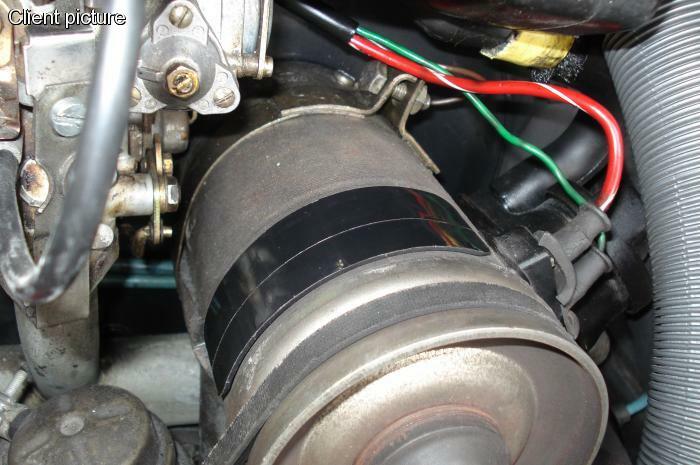 alternator has 2 holes where the cap fits, but only the hole at the terminals must be covered, the other hole to the cooling air to be discharged.